Michael Aspel and the team survey more antiques and heirlooms. The experts are in Bristol, where the owner of a despised hall clock is surprised to learn its worth. Browse content similar to Bristol. Check below for episodes and series from the same categories and more! apart from being the home of the Antiques Roadshow. another of Bristol's claims to fame, or how about a cigarette? The tobacco trade made one particular family in Bristol fabulously rich. that churned out millions of cigarettes from tobacco leaves imported from the Americas. producing 200 of them a minute. Fags rolled out, the cash rolled in. but he knew what to do about it. that had helped them make their fortune. and plenty of sports facilities. that the true dangers of smoking started to be recognised. and the city museum and art gallery just down the road. In today's money, the property portfolio would be worth more than 150 million pounds. in fact, it pretty well owes its existence to the tobacco industry. The University Of Bristol's tower dominates the city's skyline. itself another generous gift from the family. plays host to the graduation ceremonies of today's students. are heading for the Antiques Roadshow. This is one of my favourite objects, tell me what it is. and it's, like, one of the first things of moving pictures. Get it going for me, cos I just love it. You can see some people talking to each other. What we ought to have is a lip reader. I wonder what they're saying. "I wonder if we'll be looked at in 100 years time"? OK, great, let me have a look at it if I may. and she's chatting to a gentleman. Now, who am I looking at? This is Charlotte's great-great great-grandmother and grandfather. -they were playing around with all sorts of modern technology. is the fact that we can still see this after 100 years. Our generation get a lot of pleasure from it. How does it compare to, I don't know, PlayStation, or...? Is it an interesting thing to look at? I think it's interesting, cos it's my family. -so this is great to see them actually in motion. in about 1908, so what sort of date do you think, looking at the...? I would have thought it's pretty much 1908-1910.
will still be around for people to look at in 100 years' time. or in the case of this, these are home movies. which were then made into these. as a piece of your own family history. Two very splendid mugs for cider or beer. They're looking very clean, where have they come from? -These were in a shed? -Yes, I found them in the garden shed. Right, then what were they doing there? they've been there for about 18 months. Right, well, let's see, what have you found? but examples of transfer printing. An exotic mug for everyday use. -I suppose we're looking here in date, what, 1820-1830? -Lovely and clean, isn't it? a lot of printing was being done in Staffordshire. and here we have, really, a rather splendid printed mug. -You've got a portrait on one side, of the king. -And that's King George II. So that takes it back to... Well, we're back in the 1750s. he was involved in the Navy, he sailed on ships. -and here is all the trophies to do with the wars and battles that he was winning, and the victories. who was the great engraver. -to be printed onto the surface of porcelain. the first royal commemorative mug that was printed. and this was made in 1757 or 1758. -And this one is just a nice Staffordshire mug of its kind. -An example like that, in good condition, £200. Here, a mug with the royal prints, so what is this worth? I can't believe it! Really? It had the onion set in it last week! you can actually see the history of the place in its buildings. next door is the art gallery, funded by tobacco. -which takes us to this fantastic image. It's a painting of a sailor on deck. So this is the art work for an advertisement. -Oh, the great sale off of all of the history. What date do you think this is? but in fact, I understand it's about 1916. -I was going to say, it looks somehow Edwardian to me. all using art to promote their goods. but do we know that this was ever used? -We do, yes, there it is. Isn't that great? The words have come onto the packs. -This, of course is Players, not Wills. -But they were the same group by then. -Same part of Imperial Tobacco. -So what did you pay for this? -This cost, I think, £160 in 1999. I mean, that was a fantastic bargain, it's great history. -£800, possibly £1,000, simply because it's such a great image. it's why you and I are standing here, it's wonderful. then you might have worn one of these. This is a small sword, and it's a later type of rapier, in fact. even gold, but I've never, ever seen one made of glass. and she said yes, so she gave me the sword. OK, and what do you think the hilt is made of? -I think that's Bristol Blue. made of Bristol Blue glass before, so I think it's quite rare. because this really is quite spectacular, isn't it? and I think that a collector would probably pay a couple of hundred pounds for it. and he married his wife. And adopted the daughter, who was called Mary One Spot. -Did she have a spot? But his wife was called Maggie Big Belly. What was he covering out there? What date are we talking about? Um, about 1913 he would have gone out there, aged about 18 years old. He took over 2,000 photographs. Of the Sioux, Blackfoot, Sarsi, Stoney Indians. Um, the plains Indians, mainly. So this is all in Calgary, isn't it? and they're now in the Glenbow Museum in Calgary. So what did he do out there with the tribe? Did he...? He became a saddle maker. although I'm not 100% certain. It's beautiful, kept well, hasn't it? Beautifully done, yes. That's beautifully done, tooled leather. out of the light, and tell me about these pipes. which was why he was accepted into the tribe. really vibrant, that is just superb. to get the high price that it would in America. but I don't think we've ever helped create a family before. Remind us how the Roadshow played Cupid to you. and the rest is antiques, or history, as they might say. And the product of your union. This is Taliesin, yes, indeed. Oh I thought you might be called Henry Sandon Junior. Well, we did consider it, but, er, Taliesin got the vote in the end. -and you can thank us for getting you together. let's have your thoughts on it, sir. No I think, frankly, I think they're hideous. to see what are they worth. Are they worth anything? -Well, everything's got a price. The name that comes to my mind when you look at these tables is Gillows. -Um, they're made of rosewood. -And this is what we call a tray top. Yes, they are a mixture, when we look at the base here, you've got this. -Almost looks like a dolphin's head. -That's a typical feature of Gillows. acanthus leaves here, beautifully carved. so you're going to be a happy bunny, you're going to be happy. -Do you like them now? -No, I like the price, though! they're very collectable, and very saleable. -That's a lot more than I would pay for them, but thank you. and it's quite fascinating for me to look at the way that this is constructed. -just look at the work in that. -Yeah, that's right, it is. -which have ended up being a carousel, in effect. I think that says a lot about the kind of patience that people have. Do you know anything the patience of the person that made this? -They must have had a lot. -Did it belong to a relative, or...? -No, it was bought in an auction a couple of years ago. Er, I fell in love with it, and I made my dad buy them. -Buy them, because there's another one. Oh, right. OK, so what drew you to it, what made you want to own it? the amount of time that went into that. and I couldn't have the real thing, so this is the next best one. when I used to have TinPo plastic cowboys and Indians. That's essentially what these horses are. They're salvaged plastic horses. -the horses are bouncing on it. -Yeah, that's right, they go up and down. there is a lot of skill to make that happen. And I think that's what I like about the tradition of this construction. Do you want to tell me how much you paid for it? -Well, I think you paid probably the right kind of price. I feel as a kind of naive interesting object, it's worth £150 to £200. -You were on the right side. As a tribute to the person who made it, let's see if we can get it going. possibly just not quite powerful enough for it. -Lovely, thank you very much. tell me a bit about her. and I inherited it when she died. -But she's a doll with a difference, isn't she? but anyway, somewhere under there is what I'm looking for, which is this. Isn't she wonderful? Um, I love the... How incongruous is this? It's very surreal just having those feet on the end there. How lovely. beautifully decorated in their shoes. -Date-wise I'd have thought we're talking about 1910ish. -probably around £250 for her. Yes, she's just great, so, um, don't use her too often, now. with the other things that we took out the loft. from my point of view, quite an exciting find. -And the brooch itself was made in about 1850-1860. This beautiful pink coral, and then it is embellished with diamonds. which were so potent symbols in the Victorian period. The coral itself probably came from Naples, so it's Neapolitan coral. and you can see this delightful yellow-gold mount at the back. Now, what do you think it might be worth? Well, given the box, I thought maybe £100 or so. -to examine whether there might be further pieces in there? Bristol which would be ironic because that is where the Roadshow was conceived 30 years ago. it became a hit all over the world, and Lars, you were with the show when it started to stretch its legs. -But for you, the first trip abroad was going home. It was going to home, to my country of birth, Denmark. we went over the water to Sweden and did an edition from Malmo. that these were carved under water. Quite a few of the elderly clients didn't understand or speak English. Or in some cases we actually had an ear piece. Are you a collector of watches? -No, my husband bought them in auction about 7,8 years ago I think. Just by chance? You mean he...? Yes, he likes gold-coloured things, they were so nice, he couldn't resist them. in spite of the fact that there was no tradition of Antiques Roadshow in Denmark at all. -And where did you go next? -Well, it took us three years to recover... so in '93 we went to Jamaica! Now that was a wonderful show. people in their lovely summer frocks. brown teapot was worth somewhere around ten Jamaican dollars, she said, "Great, I'll take the money". and now of course lots of countries have their own version of the show. The American version started 10 years ago and hit the jackpot at once. Here's the way they do it over there. his family heirloom is a national treasure. it was given by Kit Carson, given to the foster father of my grandmother. Are you a wealthy man, Ted? I'm still a little nervous here, I have to tell you. On a really bad day, this textile would be worth three hundred and fifty thousand dollars. -On a good day, it's about half a million dollars. I had no idea. Just laying on the back of a chair. Well, sir, you have a national treasure. Big money, big emotions, what's American for lovely-jubbly? Well, it's true, the American angle is very much fixed towards the dollars, they love big bucks. he said, "Gee you've got a show in the United Kingdom as well?" They think they've invented it. -You mean I spotted it. -No, I spotted if first. Because I actually bought it. I was thinking about buying it but she beat me to it, you know. We've had it now for some time. We don't really know what it is. -You didn't know what it was when you bought it? -Just thought it was interesting. -You have it out on display? -Yes. I liked it because it's feminine. having looked at it carefully, it's a Victorian hair tong curler heater. -And I'll tell you how it would work. and then the tongs would be at the end, all right? A little bit of wick inside there which would be lit. -This adjustable, a disc, as I mentioned, according to the height of the tongs. so it's an unusual quirky object and I think it's extremely appealing. -We love it, don't we? People come in and they say, "Oh, what's that?" Polished up, it looks lovely in the room, doesn't it? I think it dates from probably the late 19th century, 1890. It's difficult to put a value on it because it's not something that we, you know, that I've seen before. -You bought it in a shop? -Yes, all right, but I spotted it! The princely sum of £5. -Oh, only as recently as that. I think that was a pretty good buy because people like unusual objects. At auction today, I'd probably expect it to fetch £100-£150. -So there you are, Victorian hair tong curler heater. -First one I've ever seen on the Roadshow. Your aunt, has she told you very much about the jewellery? Nothing, I'd never seen it before until we emptied her drawers. So you know nothing about what you've brought. Begs the question, what are they worth? Any idea? do you know of a gemstone that comes from somewhere in Australia? It's opal. Is it opals? I would think in round about 1900-1910, it has a rather Craft look to it. so I'm interested to know where she might have got that from. You don't know what the story was? I expect she inherited it, or was given it. OK, what do you think about that? Well, I think it's sort of, it looks like cheap stones. -OK. Well, in fact it's a natural hard stone in a gold frame. -of jewellery that ever so slightly recapitulated the past. -with a natural hard stone in the centre. -I didn't think it was gold. or what do you think it might be? might have belonged to my great-grandmother. -I think it's a set, it looks like a set. -I think you're probably going to find it was made before you think. -I think it was made in the reign of George IV to William IV. I suppose, 1825-35, lovely garnets. -They're garnets, that's the red stones. Yes, they're not paste, they're genuine garnets. are beautifully wrought, gold filigree frames around the outside. so shall give you a sense of what the values are? I would say that's probably worth about £800. -Yeah, so that's that one. -The brooch which you consider is rubbish. I would say I would think it's probably worth at least £400 to £500. -I'm glad you didn't throw it out. -I nearly didn't bring it. so I think that this set is probably worth £2,000. Well, that is a real surprise, that is a real surprise. Thank you, well, that's been really helpful. -It's a Chinese snuff bottle. I actually won it about 15 years ago from the Sunday Express magazine. and you just had to send off your answer to the question. -I supplied some of the objects. How funny. So what was the... what did you have to do? -because the answer was in the text, anyone could have entered. and lo and behold a few weeks later, this came through. I do, actually, it's unusual, I find it unusual. -Did you know it was made of jade? -I thought it was, yes. I mean they just went mad for it, snuff was the thing. a sign of good news in China. How much did you pay for the postage? Well...about 12 pence in those days. Well, you've converted your 12 pence into £1,000. -Ticks all the boxes doesn't it? -It ticks, yes, yes, I was told it was the primitive school. and I guess that it's something that you inherited. before he was my husband... and his parents lived there. He used to go down to this pub at the bottom for a pint. a rented room underneath one of these other houses. and said, "Oh, I like that, where did you get it?" so Ernie said, "I got it off a dustbin up in Clifton, I liked it too"
so he said, "If anything happens to me, you can have it". and the painting was again put on a dustbin. wrapped it in newspaper and took it into my in-laws. Now, lots of information to take in there. -The first thing is of course we're talking about Bristol. And when I arrived yesterday in Bristol, I was looking at these houses. -Am I right in thinking they're now coloured? -Yes, they're all painted different colours. -It's all mine, all my fault because I liked yellow. but obviously done by somebody who was not a great artist. We have a signature down here at the bottom. "P. Key" it looks like. -I think it's Key, yes. but that was often the way, they were one up from amateur. but it's a great picture and I'm sure you're going to treasure it forever. I love it, and one of my sons already has his name on it. -Very good, so it'll keep in the family. I have two words to say about this clock. is looking at it, going, "My goodness, what on earth is that?" between this clock and this rather fine standing gentleman. What sort of connection is there? -in the 19th century up till his death in 1855.
call it "that damned clock". Oh, it lived in the kitchen, it was not considered fit for the hall. -and he died in 1855.
the Nile campaign in 1798, I believe. that happens to be a clock. and I think it's extremely unlikely that it was made to celebrate his death. and they put these wonderful funereal feathers atop the case, absolutely fantastic. they were not in the 1850s. -Um, have you got it insured at the moment? -It's despised, I tell you it's a despised item in our family. it's high Regency style, but furniture collectors will love it more. make between £30,000 and £40,000. for at least the upper end of that amount. And with that, another Roadshow bites the dust. they said they wanted something that would be here in 400 years' time. It opened for business over 80 years ago and it's still looking as fresh as a daisy. but for the moment, from the Wills Memorial Building in Bristol, goodbye. 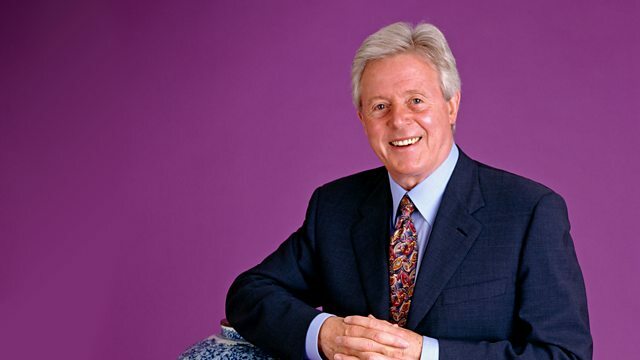 Michael Aspel and the team survey more antiques and heirlooms. The experts are in The Wills Memorial Building in Bristol, where the owner of a despised hall clock is surprised to learn its worth. Plus, cider mugs from a local garden shed are valued and a primitive painting of Bristol's harbour arrives with an amazing survival story.